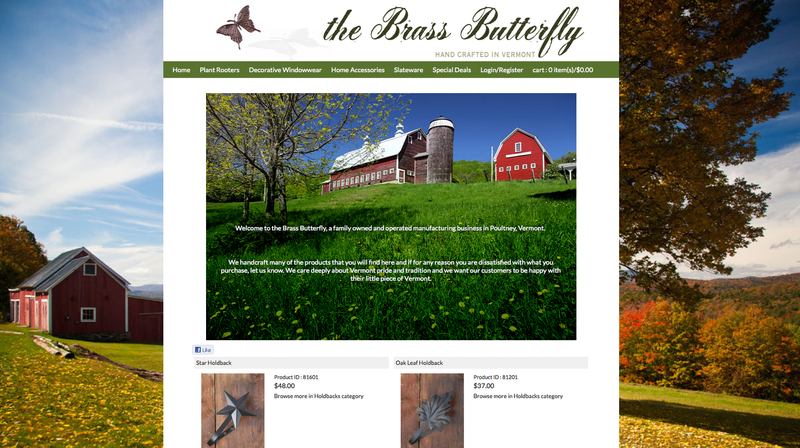 Project: The Brass Butterfly is a family owned company that was looking to create and manage a simple eCommerce site where they could display and sell their products online. Summary: The Brass Butterfly is a family owned and operated manufacturing business located in Historic Downtown Poultney, Vermont. The DeBonis Family has been handcrafting decorative Plant Rooters and Window Hardware in a circa 1800 Grain Mill since 1983.